Two Derby-worthy events in the comfort of your home. 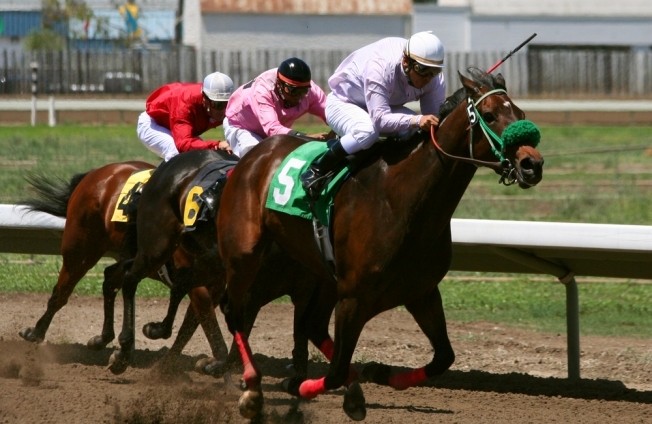 The Kentucky Derby is an awesome event: a fun-filled afternoon with a high-intensity horse race guaranteed to transport you back to the heydays of American history. So we understand your hesitation in making the trip down there. Fortunately, we’ve got a solution: Enjoy the Derby experience right here in the District at one of two locales. The Iron Horse Tap Room (507 7th St. N.W.) shows Kentucky Derby coverage on their flatscreens throughout Saturday, with the actual event starting at 4 p.m. Go for drink specials, raffle prizes, bar games and hor d’oeuvres. Those dressed up for the part will be entered into a “best dressed” contest, where the classiest man and woman will be rewarded for their Derby spirits. The event’s $20 per person or $35 per couple -- a lot less than a trip down to Kentucky would cost. For those who feel that we can’t cheat the Kentucky Derby that much (and don’t mind spending an extra penny), head on down to the Long View Gallery (1234 9th St. N.W. ), which will be transforming itself into a miniature Churchill Downs. A seersucker and big-hat dress code will be practically enforced as bottomless mint juleps are passed among participants. All proceeds go towards Pediatric Care, an organization dedicated to helping children affected by HIV/AIDS. Tickets are $75 in advance and $100 at the door, with the event lasting from 5-8 p.m. Solve the Kentucky conundrum and purchase tickets to either event here and here!